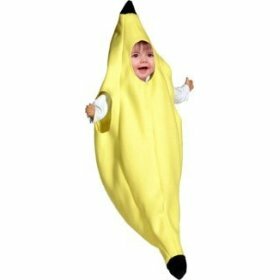 Whether or not I will wear a banana costume to readings (next: Vroman's Bookstore Pasadena, CA, January 10). The answer is probably not. But if you wear one, I'll give you a free book. Here's a link to over 60 different yellow fruit suits to choose from.